You can trust in the lightweight, 108mm underfoot Candide 3.0 when staring down giant backcountry booters or waist-deep pillow lines. 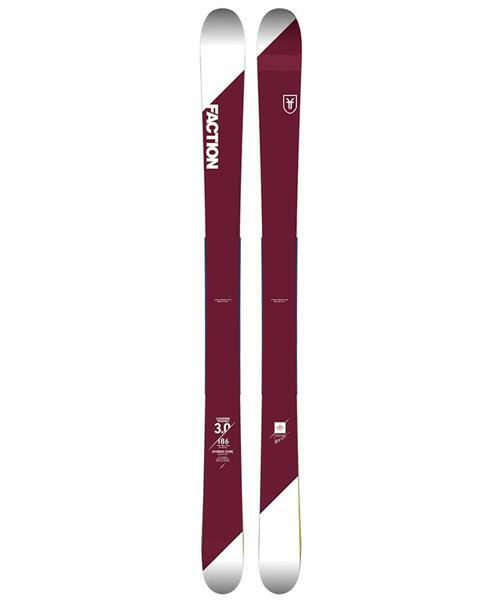 A lightweight hybrid balsa flax core and progressive side cut design make the ski easy to maneuver and equally at home whether ploughing through fresh snow or sending it through the air. A 108mm waist, camber underfoot and rocker provide float in pow and a solid edge hold that will rock the hard pack. Titanal reinforcement underfoot adds trustworthy durability when tapping trees and taking landings deep.